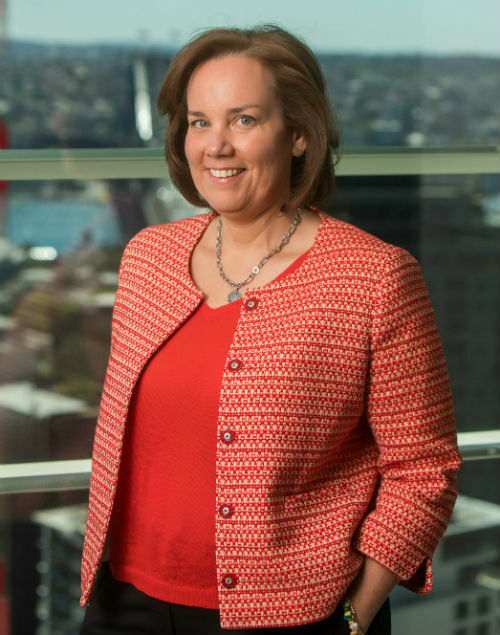 Three months ago, Canadian (re)insurance industry veteran Melanie Slack took the reins of Swiss Re Corporate Solutions’ Australian and New Zealand operations. 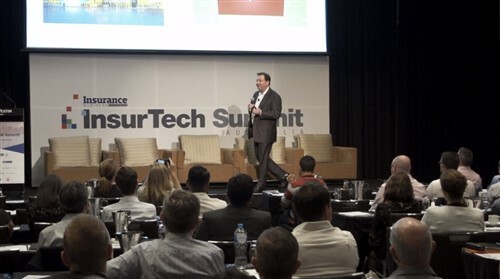 Having recently relocated from Hong Kong to Sydney, Slack tells Insurance Business that she’s loving life in Australia. “It’s brilliant,” she says. “I love riding the ferry and looking at the Harbour Bridge every morning as I come into Barangaroo” (the location of Swiss Re Corporate Solutions’ spectacular Sydney office). On the business side, she’s spent substantial time establishing relationships with the local team. Slack’s tenure with the wider Swiss Re Group began 15 years ago. Since that time, she’s amassed experience in several senior management positions across Asia, Europe and the US. Before taking on her current role, she was the head of life and health products for Swiss Re Asia. Slack discusses what she believes are the major challenges currently facing Corporate Solutions in the ANZ region. “I’ve landed in a non-life insurance company, and now I’ve heard all about hard and soft markets,” she says. Slack mentions the challenge of having teams made up of employees who have never experienced life in a hard market. “Whether you’re an underwriter or a broker, right now you should be asking yourself, ‘How am I going to ride that next hard cycle?’” she says. Swiss Re Group established its Corporate Solutions business in 2010. Today, it has over 50 offices across the globe, including its Australian offices in Brisbane, Melbourne and Sydney. Outlining some of the business’s key strategic priorities for the region, Slack discusses its shifting focus from the excess space to the direct commercial space, singling out its Single Carrier Property Initiative. In August, Corporate Solutions launched 11 new policies across casualty and professional lines, including professional indemnity, directors’ and officers’ liability insurance, crime and general liability. “That’s something we’re very excited about because, previously, our focus was on the excess space. Now, we have our own policies so we will be looking to develop a primary portfolio in these lines,” she says, adding that the rollout of the new products has involved the business ramping up its teams in both Sydney and Melbourne. Slack also talks about the business’s 2015 acquisition of the aviation business of general insurer Assetinsure. Another growing area of the business is agriculture. Slack mentions Corporate Solutions’ hiring of John Mottram last year, who joined the business as senior originator in the food and agriculture team, following many years spent in the banking industry. “In addition to the standard crop coverages, the team is looking for solutions using parametric cover, and that’s an area where we need to be very creative to try to help farmers manage their cash flow in the event of weather catastrophes. Similarly, Slack is excited talking about Corporate Solutions’ One Construction initiative, which offers business clients – and their brokers – a single point of contact for all insurance needs across the life cycle of a construction project. She stresses that what sounds like a simple concept is not, in reality, happening everywhere. “Often, the broker is placing different covers with different markets or different players … We’re writing policies where we’re one point of contact for that company across all lines, which serves to remove potential coverage gaps which can arise,” she says. Slack is also determined to ensure the team maintains its strength on the claims front, as its move across to the direct insurance space continues. Corporate Solutions is also undertaking significant activity in the risk engineering space. “We have grown the team from one risk engineer to five, and we have added support from our partner Paragon Risk Engineering. It really plays well to the overall Swiss Re vision of being a knowledge company,” Slack says. Slack sees risk engineers playing an integral role, in conjunction with underwriters, in adding value for Corporate Solutions’ insureds. “It’s not just about price and putting a policy in place,” she says. “These guys are helping our clients mitigate risk. And what’s really cool for me, coming in as a newbie, is seeing these risk engineers at the front line with the client. When it comes to the subject of the emerging risk landscape, Slack raises business interruption insurance. “We have a strong property portfolio, so we see a lot of clients insuring their property but not giving enough consideration to what will be their business interruption risk relevant to that,” she says. Slack believes business interruption is a subject the business will be increasingly talking about, and given the statistics that point to the significant protection gap specifically in the mid-market space, it’s no surprise that this segment is becoming increasingly important to Corporate Solutions’ business. “There’s a protection gap there, [and] that’s what we’re trying to go after – those mid-market clients,” she says. Today, Slack is the only female CEO of a major general insurer in Australia. But while women are yet to be adequately represented at management levels in the general insurance space, she says this was not her experience in the life and health sector of the industry. 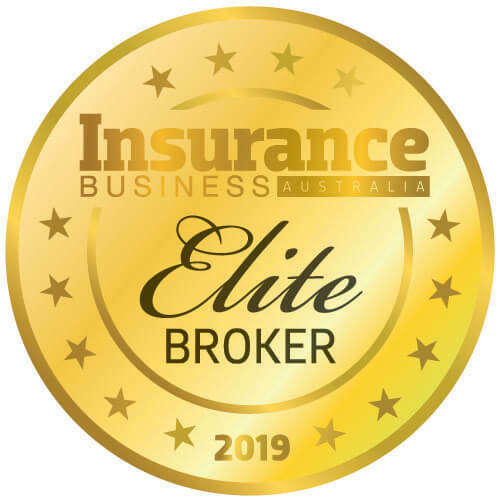 “It’s true that the insurance industry has a long way to go, but there are definitely at least a handful of senior executives in Australia in the life and health space,” she says. Slack says it comes back to the fact that the vast majority of industry employees arrived in the industry by accident, that their pursuit of a career in insurance was unplanned. “So, what are the filters that bring people into insurance?” she says. “If you think about life and health, people are coming in from the life sciences. They come in from a background in biology or nursing or medicine, whereas the feeders, say, to the P&C world are coming from engineering [and] from heavy industry. Asked about any advice she has to share with other women in the industry, Slack emphasises the importance of having self-awareness, as well as looking for mentors and sponsors. “All of that is valuable whether you’re a man or a woman,” she adds. Slack refers to the business’s own ongoing focus on helping employees to establish their career paths. “What we really focus on at Swiss Re, and what I try to do as an individual, is make sure that everyone on the team has a really meaningful career conversation on a regular basis, so that everyone has a chance to be talking about where they’d like to go, what are the gaps, and how will we get you there,” she says.